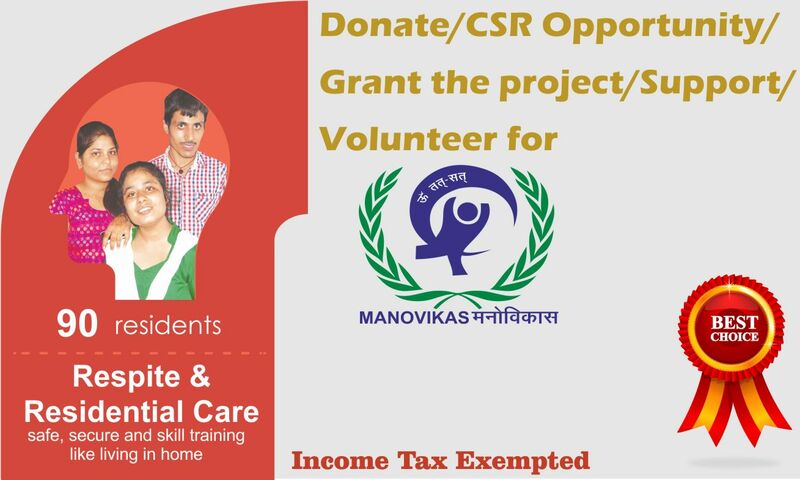 Saath-Saath is a new and innovative project has been undertaken by Manovikas Charitable Society for person with Autism and ADHD. It proposed to cover 200 people between 18 to 35 age group. The focus of the activities provided will be on recreation, creativity and community presence within a caring and nurturing environment suitably equipped for those with severe disabilities overseen and supported by parents, carers, and staffed by health and rehabilitation professionals who can ensure the best possible practice, support staff, other volunteers and the community. This is to be a user lead, client centred project with participants encouraged to make choices and decisions based on their personal preferences. Saath-Saath is to provide a safe, stimulating and creative day center for young people and adults in the community with severe and multiple disabilities that are unlikely to benefit from further educational intervention or training programmes. Contact with nearby hospitals to preparing for emergencies. Prepare first aid for Responding to injuries. Install CCTV cameras in every classroom to keep recording the activities of stakeholders. Ensure about training courses to update staff knowledge and skills about current care practices including first aid, fire and disaster drill. Prepare the materials for developing these skills in students and design hygiene chart of each and every stakeholder to check their daily hygiene routine. Design various group activities for student’s interactions to enhance their communication skills and allow the students to watching TV which give them a model of communication. Ensure about training courses to update staff knowledgeand skills about current care practices including hygiene. To get a job of their own interest or to get employed at any place according to their capability. Love and belonging of an individual that he need to feel cared for and be able to care for others. 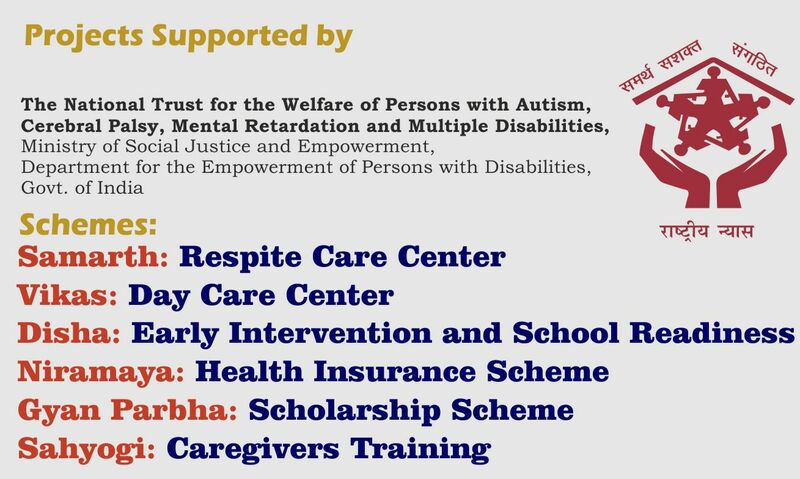 Activity-1:- Five day centres established for the care and support of people with severe intellectual disabilities. Research and assess current information on care and support for people with severe learning disabilities. Plan and identify the needs and resources (including funding, building features, staffing, equipment and transport) required to establish two day centres. Identify funding and suitable premises for two day centres. (One centre could be part of the relocated hostel building). Provide resources and equipment to aid staff to undertake their roles and responsibilities..
Market the day centres to enable more people with severe intellectual disabilities to receive care, support and companionship and to attract funding. Plan and identifying the skills and experience required to provide quality facilities in establish five day centres. Employ a full time qualified care and welfare manager with support from experienced and trained staff to manage and supervise the around the clock and staff the day centres six days a week. 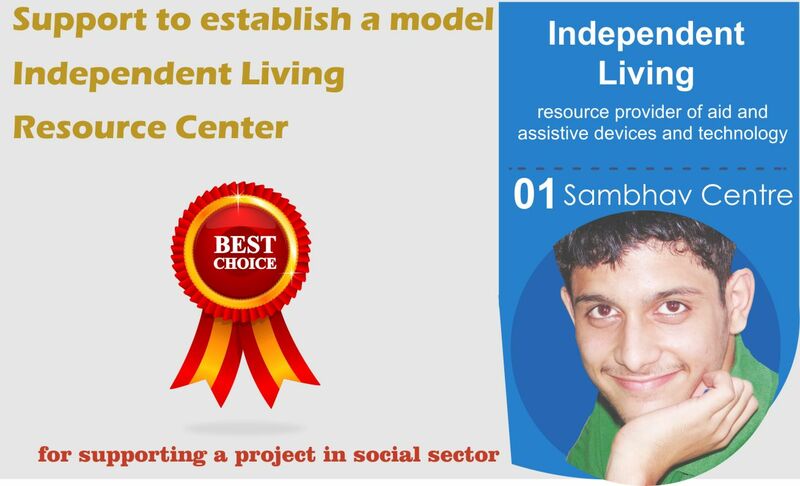 Provide adequate equipment, resources and technical support to enable the staff to implement effective care management systems for people with severe intellectual disabilities. Support (internal and external) training courses to update staff knowledge and skills about current care practices (including hygiene, first aid, fire and disaster drill) and to ensure all staff are working to the same high standards. 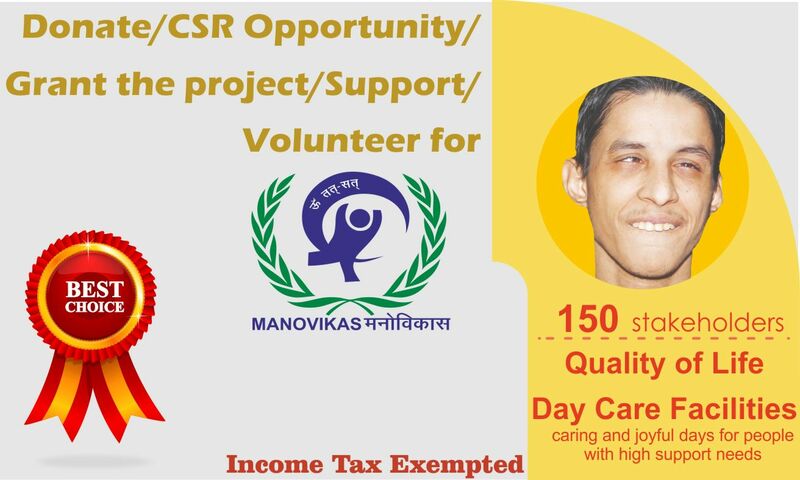 Organise forums on specific intellectual disability care issues for staff, the board and members of Manovikas, civil society organisations, carers in the community and families. Encourage college students studying intellectual disabilities to gain practical experience volunteering in the hostel and care centres. These activities will provide extra stimulus for students and care home users and extra support for staff. Children with severe and profound disabilities. Children who have above 10 yrs. Availability of different types of activities such as: Yoga, Meditation, Exercise, Fine and gross motor activities. Ashok Nagar is covered by the Wazirabad raod, and Loni Road in the North East Delhi Distt. The locality is bounded by the huge slums of the Delhi like Sunder Nagri, Nand Nagri. The suburbs area of the project shall be: Bhagwanpur Khera, Chnader Lok, DDA Flats , Loni Road, Durga puri Extn, East of Loni Road, Mandoli Road, Chandoli, East Gokulpuri Bhagirath Vihar, Gokulpuri Seemapuri, Johripuri Sundernagri, Mandoli, Mandoli Extn., Meet Nagar, Village gokulpur, Seemapuri Dilshad Colony New Seemapuri, Dilshad garden Old Seemapuri, DLF Colony, GTB Hospital, Harsh Vihar, Jagatpuri Extn., Nand Nagri Janata Flats, Tahir Nagar, Village khera, Village Tahirpur, Karawal Nagar, Sadatpur Extension, Nehru Vihar, Shriram Colony, Dayalpur, Bhagirath Vihar, Prem Nagar, Mukund Vihar, Behta Colony, Puspha garden, Harijan Basti, Rajnagar, Panchavati, Amar Colony, Jyoti Nagar, Nathu Colony, Kabir Nagar. The project will cover about 20-30Km2 Areas having about 2 lakhs population and more than 100 people having severe and multiple disabilities in this project area.